June 18, 2018: Philadelphia, PA -- The Philadelphia Jewish Labor Committee, in conjunction with the Anti-Defamation League, the Philadelphia Council AFL-CIO, and the Labor School at Penn State University, held its first anti-bias training in many years at the offices of Workers United/AFL-CIO in Philadelphia. The participants in this four-hour pilot program came from several unions, including SAG-AFTRA, the Philadelphia Federation of Teachers (PFT), AFSCME Council 47, and others, as well as a number of community groups. Philadelphia JLC, the ADL, the Philadelphia Council AFL-CIO, and Penn State University's Labor School joined together last year to create this anti-bias educational program, led by professional facilitators from the ADL, organized primarily for union members, to help understand and challenge bias, and promote tolerance and respect for diversity in the labor movement, and in our communities. 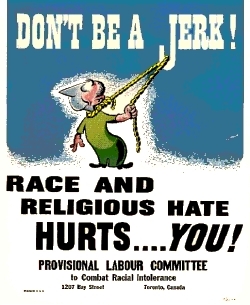 This new initiative of the Philadelphia JLC hearkens back to the JLC-organized Labor Committees to Combat Intolerance in some two dozen communities across North American from the late 1940s through the mid-1960s. Organizers of this program are exploring the possibility of group tours to visit the U.S. Holocaust Memorial Museum as well as the National Museum of African American History in Washington, DC.